3 weeks later ….. and I have changed my mind!! I can’t quite believe it! 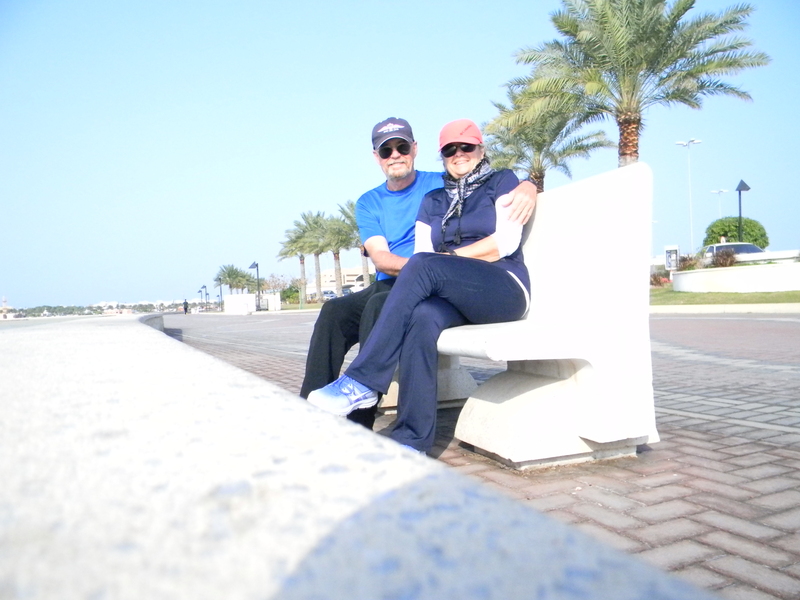 It has only been three and a half weeks since Mike’s diagnosis of colon cancer; exactly three weeks today since his surgery and now, today, we have just returned from the first day of our running program! Here is my ‘Ode’ to the marvels of modern medicine, the mystery of the human body and the resilience of the human spirit. We are full of gratitude for how it has all turned out. day, about how much better Mike was feeling. Every day for him, has brought about small shifts in returning to normal …. food tasting better…..addiction to gum and salt crystal snacking lessening….energy increasing…..but BEST OF ALL….. a return to our previous zest for life…..feeling young again! From there, our talk turned to running and how it just might once again be possible, for both of us. Because, I too, became older and accepted my decrease of energy, putting it down to age……at the young age of 61!! How can that happen you ask? It happens so gradually that you don’t notice it and it affects every aspect of your life, from your relationship with each other and with friends, to the daily routines of life. Life becomes just a bit boring but, because it’s so gradual, you don’t notice. So now, today, I feel like it is the first day of the rest of our lives!! For the first time, in a long time, I woke up this morning feeling positive and happy! It was 630 am, the sun was shining and the sky was brilliantly clear. 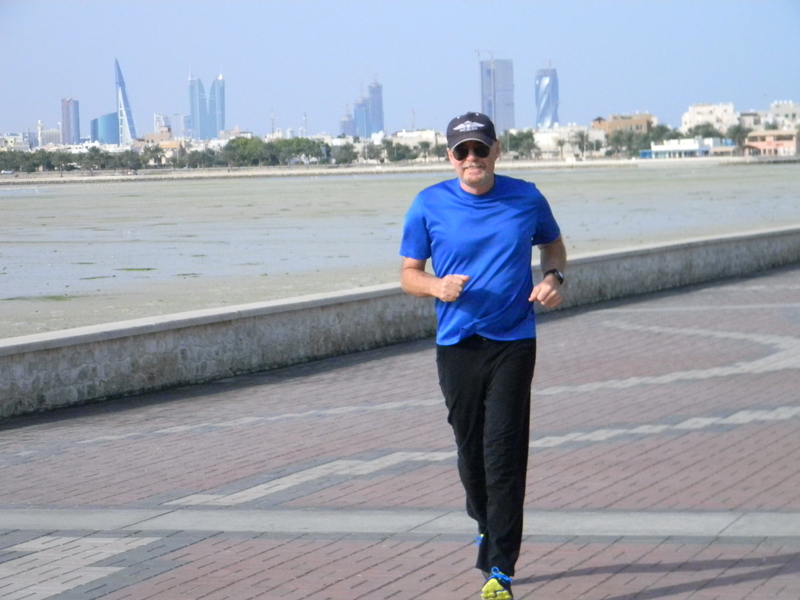 It’s been cold and cloudy – unusual for Bahrain. I seem to have unconsciously…. mentally, brushed aside all the exasperations and frustrations of our retirement effort, the shock of Mike’s diagnosis, the added shock of his son Chris’s diagnosis of bone cancer and now it feels like a new beginning. And what is going through my mind is what my father tried to teach me but what I first really learned from Todd, the most outstanding model of this….that life is what you make it…..a lesson I keep learning over and over again! So …. we headed out the door at around 730 am, new running shoes sparkling, sunglasses and baseball caps in place. We’d been planning all week long, on our daily walks, discussing our training focus, ‘slow and steady’. We decided to do 5 minute intervals; 1 minute of running followed by 4 minutes of fast walking and to do this for the next 2 weeks before increasing it to 2 minutes of running and 3 minutes of walking. Today we did the first 6 intervals – 6 minutes of total running, 24 minutes of total walking plus a good long warmup and cool down, beginning and end. Rewarded ourselves with breakfast at our favorite restaurant, Le Bateau. Anyways, that’s my update. We continue to live each day as it comes and try to make decisions only when we have to, trying not to think too far into the future. This entry was posted in Health, Motivation, Positive Thinking, Retirement and tagged attitude, blessings, Exercise, Healthy living, life has a way, plans, retirement, Running, Training. Bookmark the permalink.